Essential, lots of room to grow! 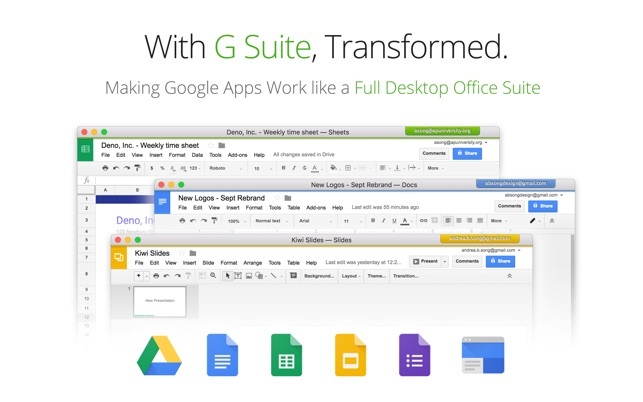 As a heavy gsuite user, this app is critical to my day to day work. In fact, really don’t know how I lived without it, and it gets better and better with every release. However, as other reviewers point out, there are still many opportunities for improvement. Based off their work so far I’m really impressed by the Kiwi team and I’m really excited to see what the future holds for the app. For example, I’d love if the gsuite apps would only open one window per app - if I want to jump to my calendar and can’t find quickly, I’ll click the gcal button/icon in the kiwi menu - but it always opens a new window. Over the course of the day I end up with dozens of Kiwi windows open showing the same thing when what I really want is one window for each of the main apps (calendar, drive, contacts, or a particular document) and for kiwi to find the window that’s already open and bring it to the front. I’ve also noticed that when downloading/saving attachments from emails, I can’t create new folders in the expanded save panel and end up having to jump over to finder, add the folder there, then going back to Kiwi to save the attachment into it. It’s a small bother, but adds up over time. Overall this is an essential app that I couldn’t live without, and I’m looking forward to seeing it continue to improve! 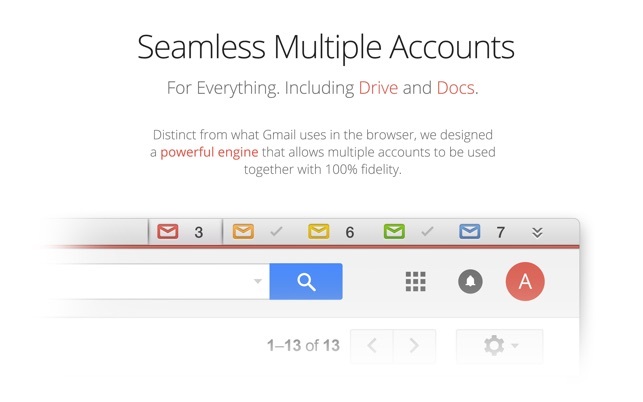 An extremely efficient way of keeping track of several Gmail accounts. Notifications for new mail arrive instantly. One small nitpick is that the unread count takes a while to update (back to an absence of the count) if I have read (and deleted) a newly incoming email elsewhere (in the browser, where I keep an Inbox by Gmail tab open, or on my phone). Also, somehow Google Keep is absent from the left navbar of my copy of Kiwi, although I have seen it on some screenshots out in the wild (my window has an icon for Google Slides, which I don’t use; and I haven’t found a way to remove Slides but add Keep in the settings—so this would be my feature request). But other than these two little things, being able to forego a ton of browser tabs is a blessing. One note after reading some of the other comments: if you ever implement calendar notifications, please make an option in the settings to turn those off, bc my phone does that just fine. Whoever in the comments was complaining about no easy way to refresh: clicking on Inbox or All Mail (whichever is your preferred view) a couple of times refreshes the Gmail window. This has been a great app for what it is. Although the app is basically a separate browser, it’s built to look like and operate as an application - which removes the need to have your GSuite apps open in browser tabs. It’s quick and convenient to use, and does a good job separating and maintaining multiple accounts. Hubspot integration that works in the browser does not seem to work in Kiwi yet, this would be a good addition. The only thing I would have liked that the app does not do is to have the app do more to display GSuite and Gmail differently. I like the left side menu - it gives a fast, convenient way to access the main parts of GSuite, however I never liked the way that Gmail laid out or dealt with folders. 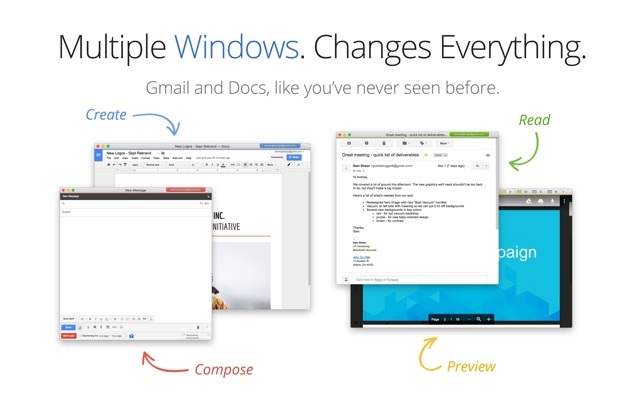 Not sure if the developers plan on taking the app that far or not - I would love to see Google Drive be more like an FTP client, would love to see Gmail laid out differently - more like a traditional email client. 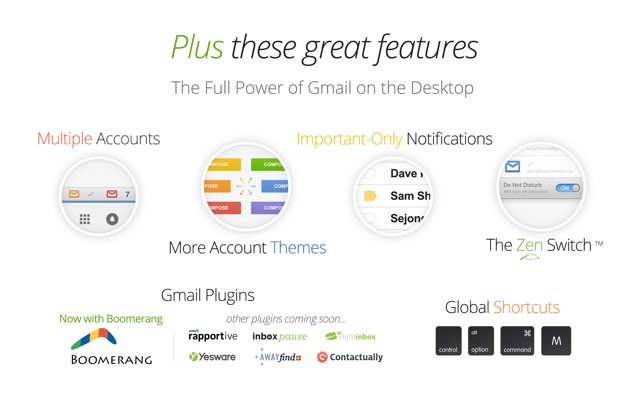 All in all the app works great and I will continue to use it for all my Google accounts. 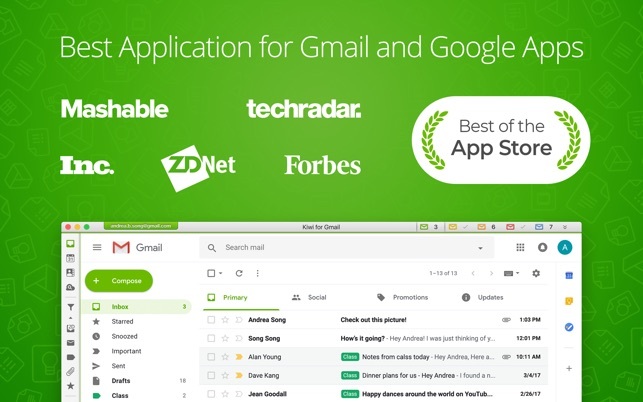 I would recommend it to anyone who is considering using it for their Gmail/GSuite accounts.